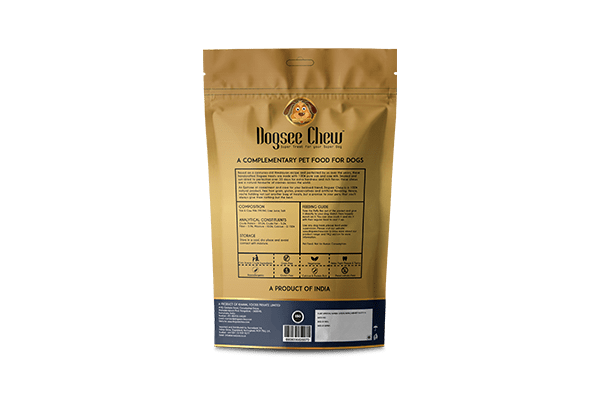 Dogsee Chew Puffy Bars, made from the finest yak cheese in the Himalayas are ideal for dogs who prefer softer and crunchier treats. It acts as a calcium supplement for dogs, enhancing positive bone growth and muscle strengthening in growing puppies. 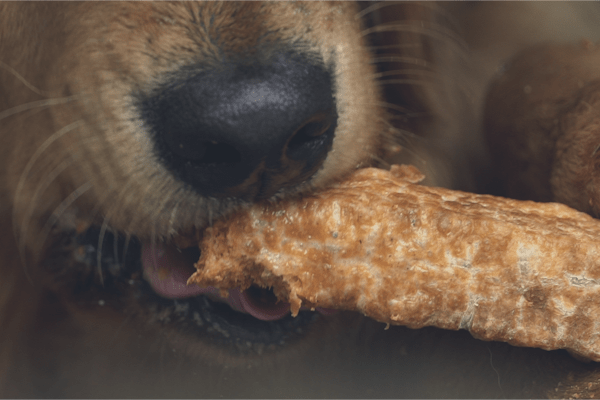 Easily digestible, these puffy bars protect your dogs from stomach-related issues. 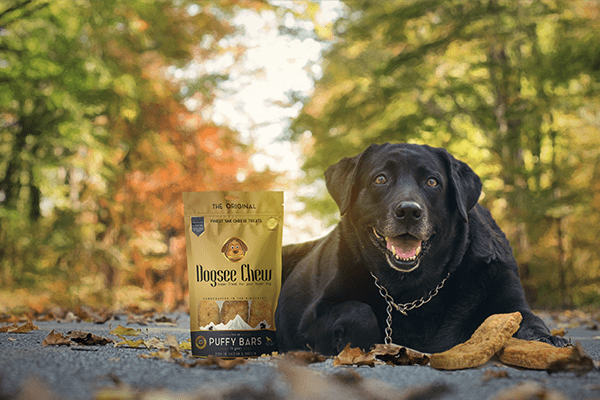 Dogsee Chew Puffy Bars, containing natural multivitamins, keep your dog strong and healthy. 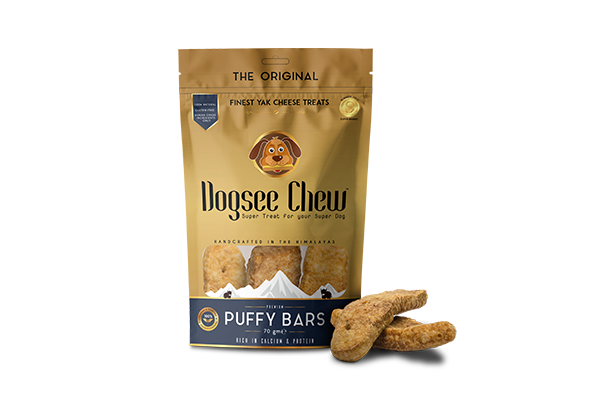 The bigger version of Dogsee Chew Puffies, the Puffy Bars are soft and crunchy treats, ideal for curbing the midday hunger pangs of your dog. Though the bars are suitable for dogs of all sizes and age, they are especially ideal for puppies and smaller dogs. 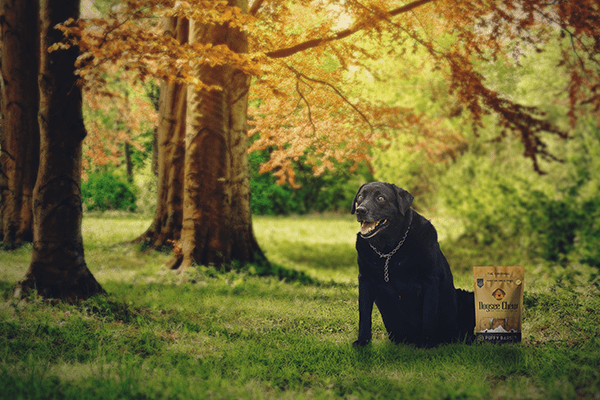 Rich in proteins and low on fat, the puffy bars will keep your dog busy for longer periods of time and are perfect for every occasion. Dogsee Chew Puffy Bars are made from an ancient recipe using traditional methods of hardened yak milk called ‘Churpi’. Ingredients include Cow Milk / Yak Milk, Salt and Lime. Contain no preservatives or binding agents. Low in Carbs & Rich in Multivitamins. Enjoyed by dogs of all sizes and age. Treats delivered at your door in 3 to 4 days.